In this article I wanted to take you through the thought process of planning and selecting components to build a gaming machine. Instead of just throwing random suggestions, we will actually dig deeper into how to make the right choices, along with a few dos and don’ts of gaming PC. This is easily the most overlooked, yet critical, stage of building a gaming PC. Setting a goal makes it much easier to identify which components to get, rather than randomly grabbing cool looking components and end up with a Frankenstein machine decorated with blue LEDs and 32GB of RAM. “What do I want to achieve with this machine?” should be your first question when building a gaming PC. Typically I’ve noticed most casual PC gamers just want to run their favorite games smoothly while cranking up a few of the graphics settings, and that’s just fine. Other PC gamers take things to new levels, such as designing a PC with a certain aesthetic in mind or attempting to build a gaming machine with no expenses spared. Simple or insane, your goal is the one thing that will ensure you buy all the right components and end up with a great gaming PC. It’s tough, I know. I used to be a university student and I know not to expect people to be growing money bills on trees. Here is where your goal comes in to moderate your expectations and the amount of money you should spend. Typically budgets are set in stone and are difficult to change, so we will look at ways to get the most out of your budget. I love using spreadsheet applications to list down all my components along with a few alternative options that I can copy paste in to compare the system’s total cost. For example you can list down different configurations of the same system but with extra storage or RAM. When you see that your planned components are exceeding your budget but your goal isn’t met, you should reduce your expenditures by downgrading or removing components that least get you to your goal. In the world of PC gaming, price cuts are very dependent on the ongoing fierce competition between companies such as AMD and Nvidia. I wouldn’t recommend waiting for new components to come out or prices to drop, unless it’s literally under a couple of months away and is expected to have a major impact on the goals of your system. Perhaps the most difficult part of building a gaming PC begins even before dishing out your hard earned money. Selecting the wrong component could possibly ‘bottle-neck’ your system’s potential, or quite simply cause your machine not to assemble or function due to compatibility issues. Motherboard brands that I found most reliable are Asus, MSI and Gigabyte. Each manufacturer may offer its own selection of sound, networking and other extras. There are countless options here and you just need to see which board has the features you are looking for. AMD loves backward and forward compatibility! While Intel almost always drops support with each new Socket they introduce. AMD FX-6300 (Socket AM3+), this chip will suffer a lot when rendering videos or crunching numbers as opposed to Intel’s I5 and I7 series, but will do just fine when gaming. You may also want to look at the performance benchmarks of the AMD FX-8350 , which is a great performing AMD chip for a budget price. Intel i5 4670K (Socket LGA 1150), this Intel chip will give you a notable advantage over the AMD FX-6300 in most applications, and a decent boost when gaming. Intel i7 4770K (Socket LGA 1150), the current king of mainstream CPUs. It will have stellar overall performance, but only provides a marginal performance increase over its i5 counterpart in gaming applications. I find this CPU most beneficial when the gaming machine will also be used to render videos. AMD’s APUs combine impressive CPU performance and a low end GPU together on one chip. They make a perfect light gaming machine, which will fit in tiny cases. You can also scale up its performance significantly, while still being cost effective. You can save a few bucks by opting for the non-unlocked versions of your preferred CPU such as the the i7 4770 (without the K). This means the CPU is not made to overclock, which is perfect for those who want to run their systems at their stock speeds. AMD R7 260X, this card is the minimum my gamer heart can recommend. There are many cheaper GPUs out there but they are absolutely not worth the savings when gaming on them. Upgrading from this card would be a good investment. Better options are the higher end R9 cards such as the 270X and Nvidia’s GTX 760. AMD R9 290, this card is an absolute steal! It’s powerful enough to run Battlefield 4 on three 1080p screens, nuff said! Nvidia offers ShadowPlay (gameplay recording), G-Sync (a revolution in monitor technology), streaming PC games to the Nvidia Shield (Android handheld) and improved physics with Physx in supported games. While AMD offers better value and Mantle which has a promising future in terms of better gaming performance. The AMD R9 are currently highly in demand and in shortage, causing prices to sore way above retail prices! There are of course dual GPU cards that combine the power of two cards onto a single card, but those come with a few disadvantages. Potentially they can even outperform the Nvidia 780TI with certain applications. Different manufacturers will offer custom cooling solutions, which are great to keep your system cool and can give you more room to overclock. Some manufacturers will also offer factory overclocked graphics cards for those of you who prefer to keep things stock. GPU RAM only really matters when you are looking at running games in really high resolutions such as 4k or multi-screen setups. RAM is easily the component where gamers tend to waste a lot of money that could better benefit their systems if used elsewhere. Typically, modern games require around 4GB of RAM to run at its full potential. My recommendation is to install 8GB of RAM unless you have a specific requirement to add more, such as running heavy 3D applications or heavy video editing. When installing RAM, be sure to install it in the pairs as mentioned in the Motherboard’s manual or as color coded on the RAM slots. This is to utilize the multi-channel capabilities of the system which will run the RAM at its full speed. Storage will primarily dictate two things in your gaming PC. Firstly how many games you can install (Duh), and secondly how fast your PC will boot and games will load. Many blockbuster games can occupy 8-20GB of space on your drive while many indie games will only occupy under 200MB of storage. So a 1TB hard disk will allow you to install around 100+ games alongside your OS and basic applications. Most hard disks will do just fine with gaming, but reliability is a big concern. Be sure to check customer reviews of the hard drive on sites such as Amazon and Newegg. I would also strongly recommend against installing your games on a hard disk that is designed for power saving (WD Green Edition), as these hard disks may affect your games loading. One of the best investments you can make in a PC, is installing an SSD. It provides a significant boost in boot-up and application startup times. 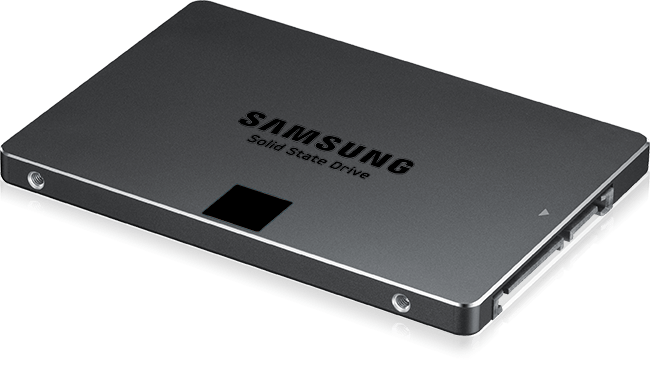 Unfortunately SSDs are still pretty expensive per GB compared to a standard HDD, but they have come a long way over the last few years and have become very affordable. While I would recommend Samsung, Western Digital, Seagate and Hitachi for HDDs. Storage manufacturers market a Terabyte as 1,000,000,000,000 bytes (which isn’t scientifically correct), causing you to lose a good chunk of storage! SSHDDs are classic hard disks paired with a small amount of SSD (typically 4-8GB) on which frequently used data is stored on. Once your SSHDD learns what files you often use, it will automatically cache them, providing you near SSD performance. This component is often under budgeted just to get the system to power up. This is the one component that I would never recommend trying to save money on, and would strongly recommend buying more than what you need to stay on the safe side. 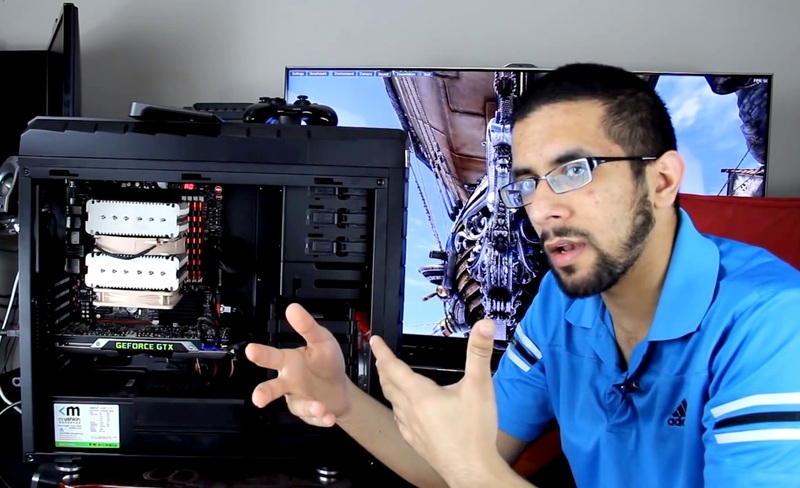 You must ensure the PSU you select can handle the load of your CPU and GPU. A few reputable PSU brands are Seasonic, Antec and Rosewill. Your operating system will basically run all your games and applications, but your options here are very limited. Aside from the different flavors of Windows, you also have Linux and MacOS, both of which have a very primitive library of games as of now. My recommendation is to go with Windows 7 or 8, but specifically the 64bit version for future proofing. Having the 64bit version of Windows will enable compatible games to access a larger amount of memory, and may become required in future games, but as of now the vast majority of games will not make use of this. The stock CPU cooler will work, but it’s not recommended with hot ambient temperatures, Bahrain included. Another drawback of using stock cooler is that it can be very loud when running on full speed. CPU coolers come in all sizes, just be sure that the cooler meets the TDP (Max wattage) of your CPU and it supports your motherboard’s socket type. Noctua, ThermalRight and Cooler Master offer a lot of great air CPU coolers. in Bahrain. Shop carefully as heavier components will rack up the shipping costs to get them to Bahrain. Luckily heavier components such as cases and power supplies don’t need to be frequently upgraded if you invest in them and can be reused in your next build. One important thing to keep in mind is warranty when shipping items from overseas as it would be a huge hassle to return an item and have it shipped back, if at all possible. It’s always good to see if your motherboard supports the RAM you picked, this info may be available on the motherboard’s website. Still, if the RAM is not listed, it’s no sure sign that it won’t work. In all situations its best to research compatibility of components in your build when in doubt before buying it. Even veteran PC assemblers will do this before committing to a component, especially ones that have recently launched. Forums, YouTube and manufacturer websites are great sources of information in these topics. Whew! That was quite a lot to cover in one article! Hopefully you now have a much better idea of how to build a gaming PC, and what to look out for. The best source to help teach you how to assemble your components would be YouTube. Good luck and keep gaming! One Comment on "Your guide to building a gaming computer"
You’re Amazing I mean it with every single letter on this message!! !